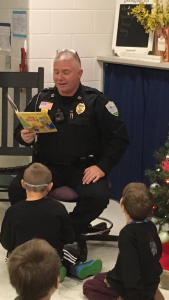 Home / School News / Canton Police Officers share the love of reading! Canton Police Officers share the love of reading! Thanks you to the Canton Police Department for sharing your time and love for reading with us! Clyde Cardinals love to read and we love our community leaders for being such great role models!